Asbjorn Lonvig's words: Ussinggard Castle is mentioned for the first time in 1499 when Erik Ottesen Rosenkrantz died. The Castle, which is built in 1859 is the only castle in denmark that is built in Ghotic architecture. Ussinggaard is now owned by Søren Peter Korsgaard Sørensen and his wife Stella Sørensen, who have done a tremendous job gently renewing the castle in respect of the origin of the castle. Ussinggaard Castle is not far from my home in Lille Fejringhus. 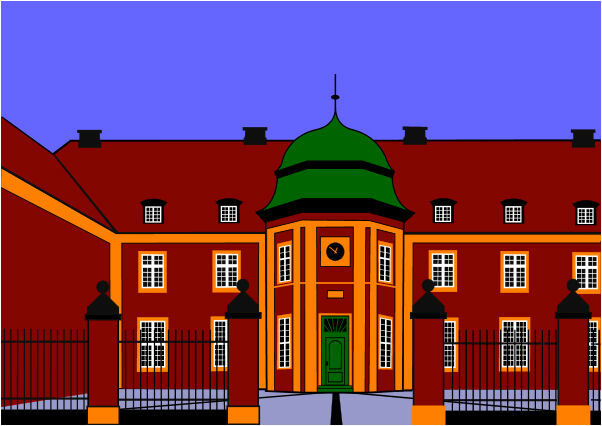 Asbjorn Lonvig's words: "Rohden Manor House" is inspired by Rohden Manor House, Stouby, Denmark. See "Rohden Manor House" above. 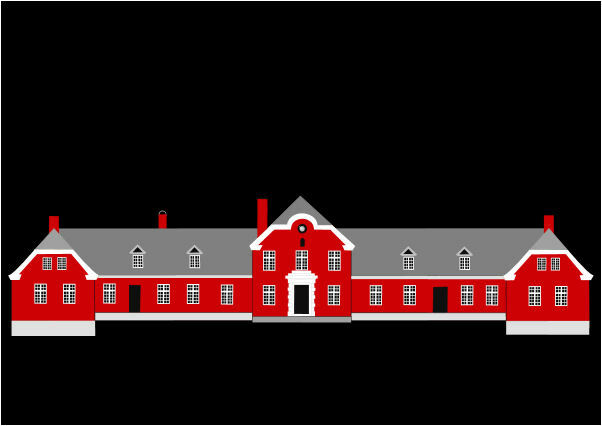 Asbjorn Lonvig's words: "Oerumgaard Manor House Red" is inspired by Oerum Manor House, Daugård, Denmark. 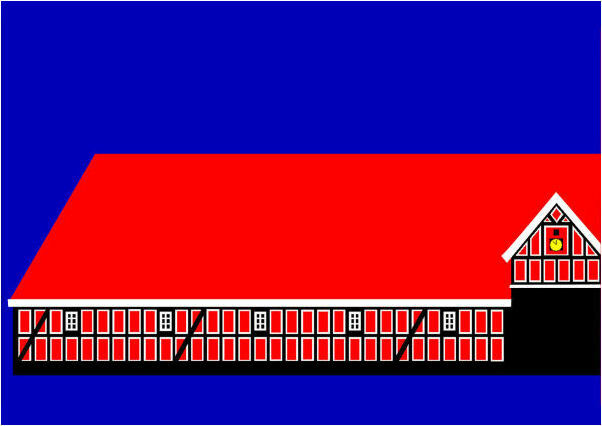 See "Oerumgaard Manor House Red" above. "Oerumgaard Manor House Close Up"
"Loendal Manor House" is inspired by Loendal Manor House, Brædstrup, Silkeborg. 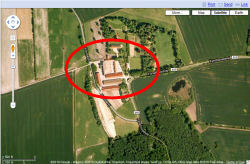 See "Loendal Manor House" above. 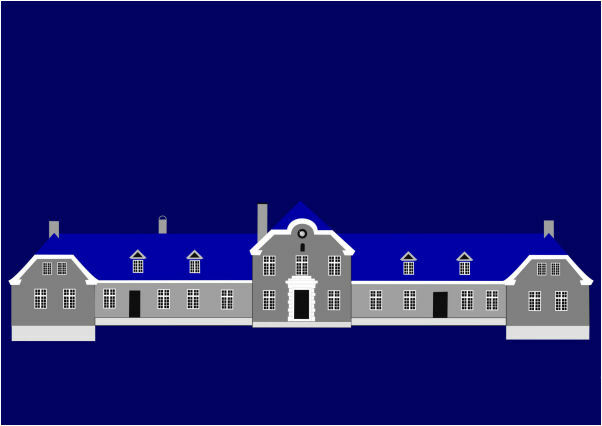 "Agersboel Manor House" is inspired by Agersboel Manor House, Lindved, Denmark. Asbjorn Lonvig's words: "Gyllingnaes Manor House" is inspired by a Gyllingnaes employer I met in the supermarket Brugsen in Hedensted. On his working clothes was a text: "Gyllingnæs Gods". 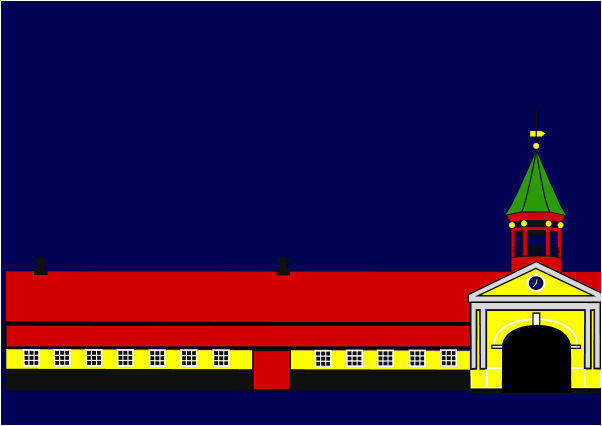 I had thought of including Gyllingnaes Manor House in my Palace and Manor House series. But I know that the owner protects his privacy, which I respect. I had only known the owner. Except that my grandmother and his grandmother had a shared telephone number in Brande. I believe that's not enough. But hadn't I had a sign from the higher powers: "Gyllingnæs Gods" in the supermarket? I anticipated I would have troubles to get a permission on beforehand to enter the Gyllingnaes area. Well, I drew to Horsens, then Gylling and finally Gyllingnaes Manor House. I entered the Gyllingnaes area even if signs told me "No Entrance". Near Gyllingnaes Manor House I knocked on doors in order to find someone to ask. Exactly now I caught a glimpse of the main building. Beautifully. Well, you know Adam and Eve were tempted, too. And it was only about apples! RESULT: The photos I took that day of the Manor House and the Stable were a result of trespassing. "Gyllingnaes Manor House Stable" is inspired by a stable at Gyllingnaes Manor House, Gylling, Denmark. 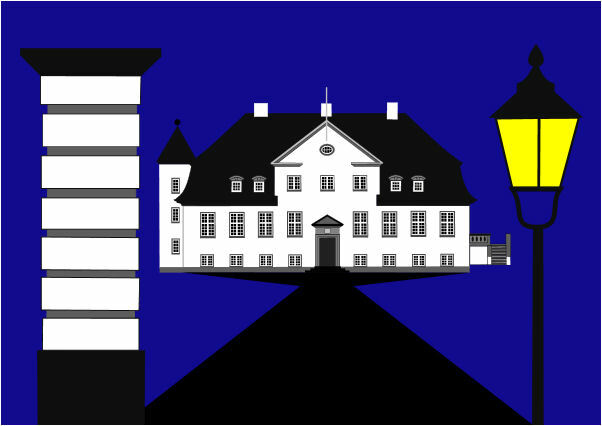 Asbjorn Lonvig's words: "Tirsbaek Manor House" is inspired by Tirsbaek Manor House, Vejle, Denmark. Tirsbaek Manor House is very special to me. I lived in Bredballe and Tirsbæk in my childhood. Asbjorn Lonvig's words: "Tirsbaek Manor House Stable" is inspired by the beautifull half-timbering and colors in a stable at Tirsbaek Manor House, Vejle, Denmark. 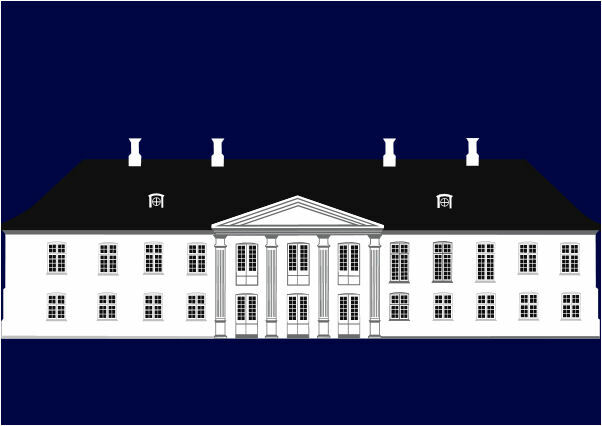 Asbjorn Lonvig's words: "Schelenborg Manor House" is inspired by a puzzle. The puzzle was to find the Manor House. I tried to Google "Schelenborg" - I got nothing on the name. But the feature "satellite" in Google helped a lot. It was situated on the peninsula Fynshoved. I took some lovely photos and during the photo session I found out that the railing on the bridge that led to the Manor House was extremely interesting. I focused on the bridge. The bridge gave great sculptural depth and character to the Manor House. 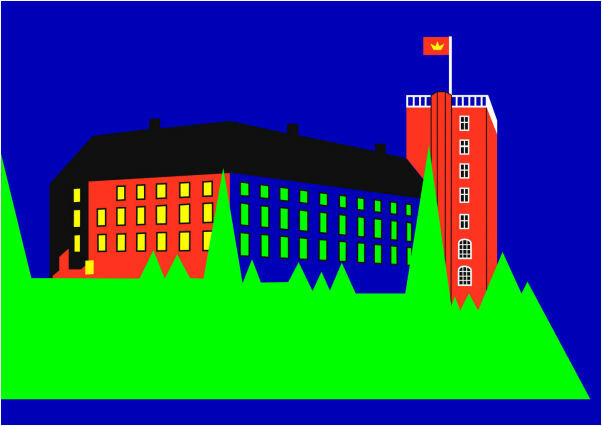 Asbjorn Lonvig's words: "Tranekjaer Palace" is inspired by dream. 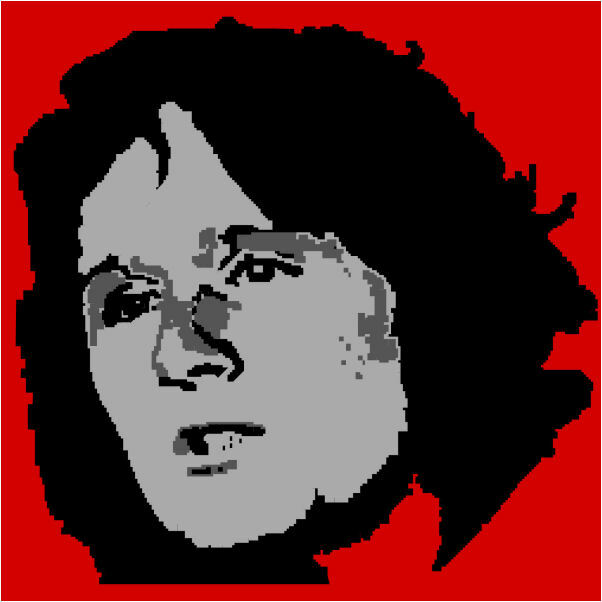 I dream that next I had to make an image of Tranekjaer". I knew the place from my childhood. I remembered it as red, red, red. First thing in the morning I made the motif. In no time I had finished. There were no problems at all, I knew every line from my dream. 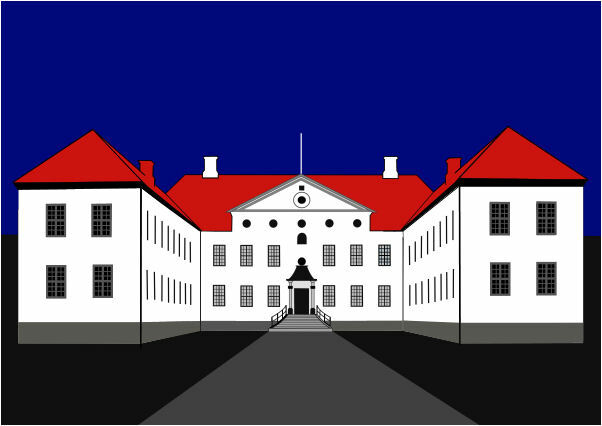 The palace is on Langeland, an island South East of Funen. 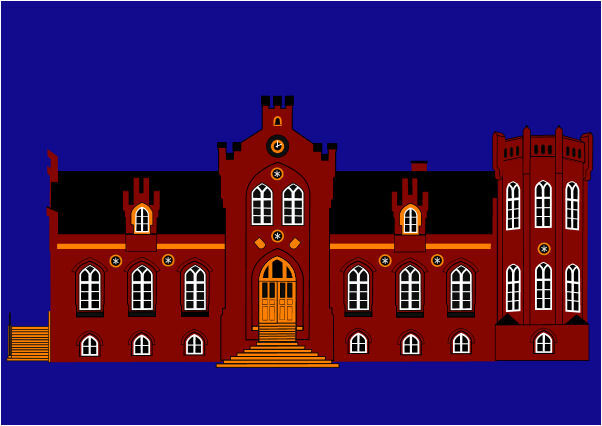 Tranekaer Palace ranks high at its castle bed surrounded by water and visible to the world. Parts of Tranekaer Palace was listed as a defense castle already around 1200. Asbjorn Lonvig's words: "Clausholm Castle" is inspired by Clausholm Castle, which is a large Danish country house located some 12 km southeast of Randers in eastern Jutland. It is one of Denmark's finest Baroque buildings. The castle's origins appear to go back to the 12th century but it is first mentioned in the 14th century when its owner, Lage Ovesen, was one of the leaders of the Jute uprising against Valdemar Atterdag. 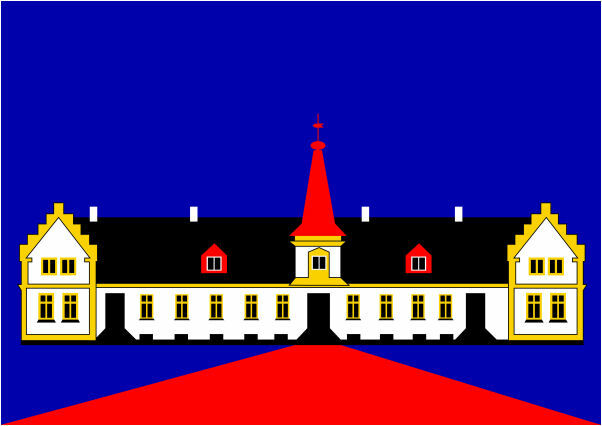 At the time, Clausholm was a four-winged building surrounded by a moat. 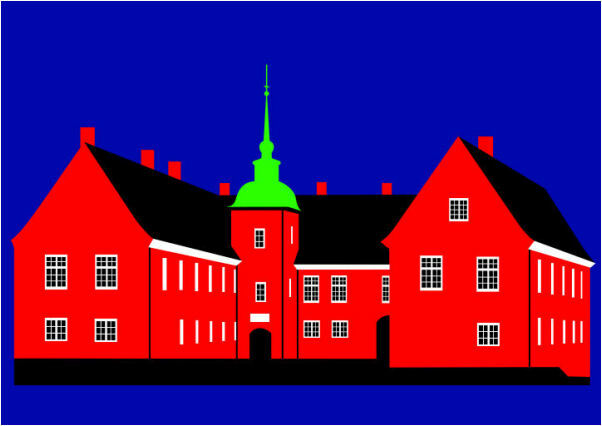 But when the first Danish primeminister, Grand Chancellor Conrad von Reventlow, acquired the property in the 1690s, it was in such a sorry state that he pulled it down and had today's two-storeyed, three-winged building constructed in its place. Asbjorn Lonvig's words: ”Erich Erichsen’s Mansion” is inspired by its pure architecture. 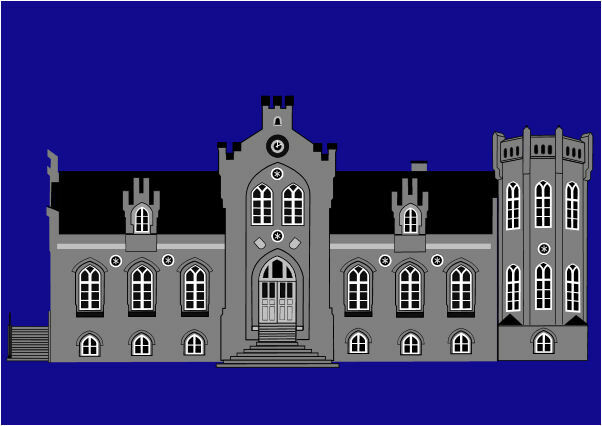 The mansion is situated at Kgs. Nytorv in Copenhagen. It is built in 1799 by the architect C. F. Harsdorff. It is an architectonic gem – and it is the headquarters of Den Danske Bank. 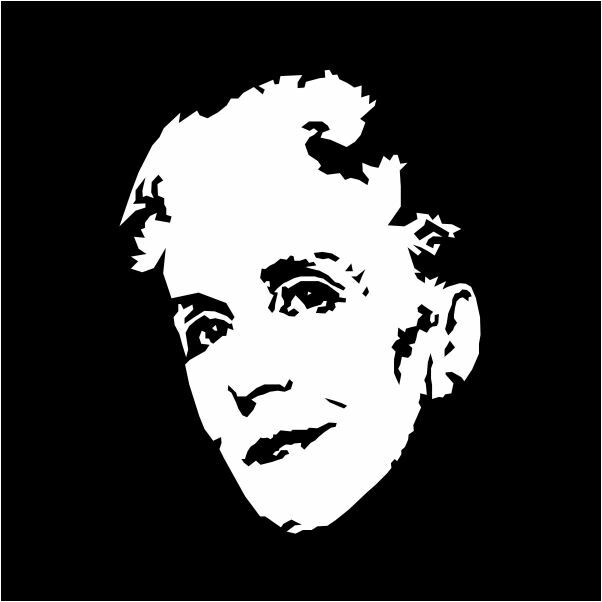 See ”Erich Erichsen’s Mansion” above. 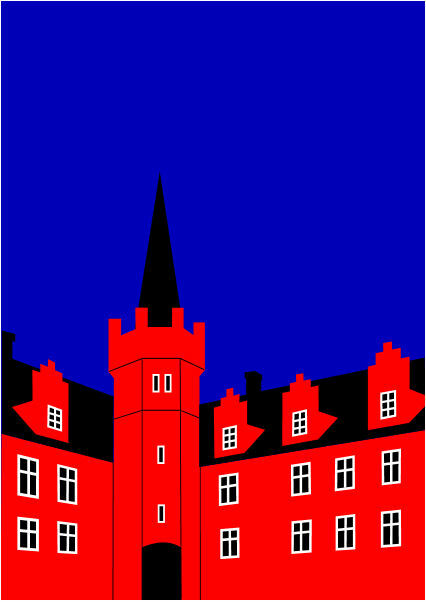 Asbjorn Lonvig's words: "Bygholm Castle" is inspired by frequent visits. Bygholm Castle is situated in Horsens, Denmark. 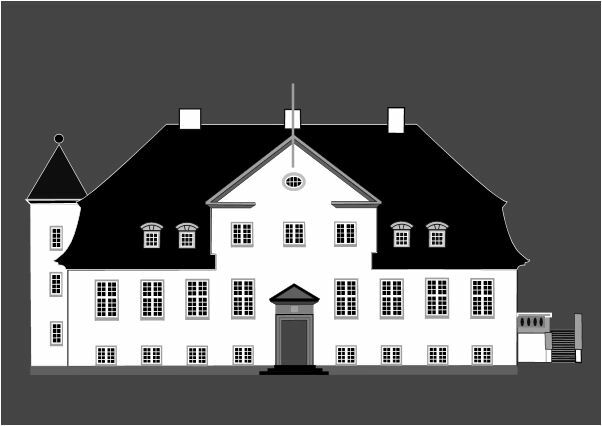 The current Bygholm Castle was built in 1775 by Counsellor Lars de Thygeson and wife, Abel Marie de Lichtenberg. 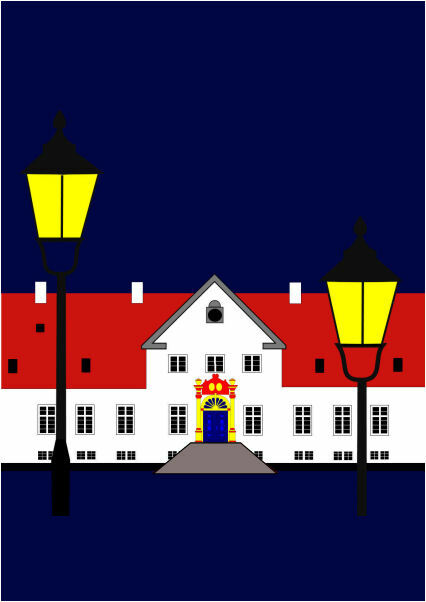 In 1918 Horsens City bought both castle and land (about 800 acres). The castle was extended and has since 1919 been run as hotel and restaurant. It is a Scandic Hotel now. Earlier it was also used as hostels. 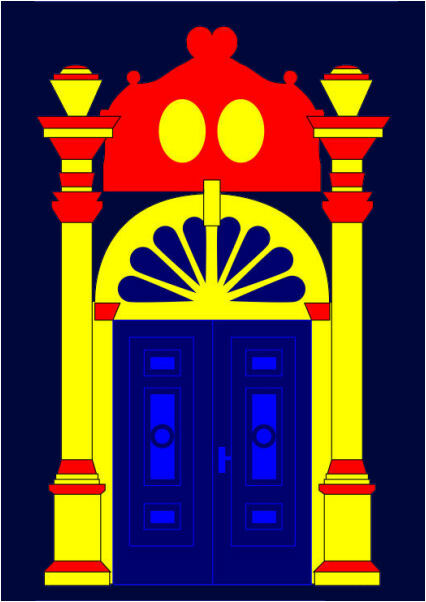 Bygholm Castle Entrance is inspired by the butifull entrance door to Bygholm Castle. 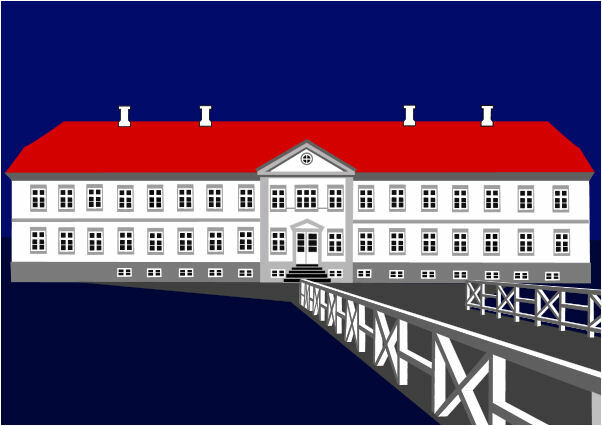 Asbjorn Lonvig's words: Inspired by Marselisborg Palace in Aarhus, Denmark. 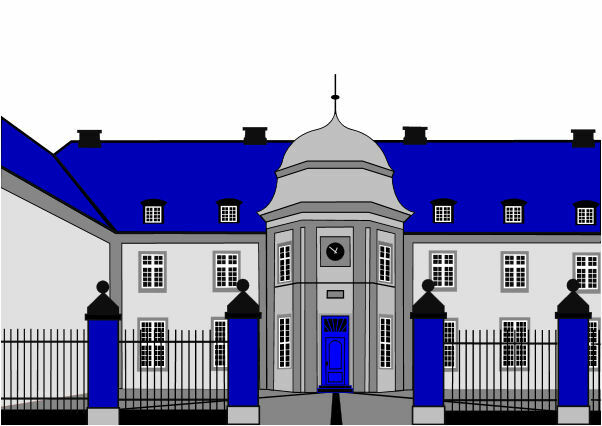 The Queen's summer residence. Crown Prince Frederik and his "star quality" wife Crown Princess Mary often are there, too. Asbjorn Lonvig's words: Koldinghus was founded in mid-1200s and was for centuries one of Denmark's most important royal castles. A fire ruined the castle in 1808. 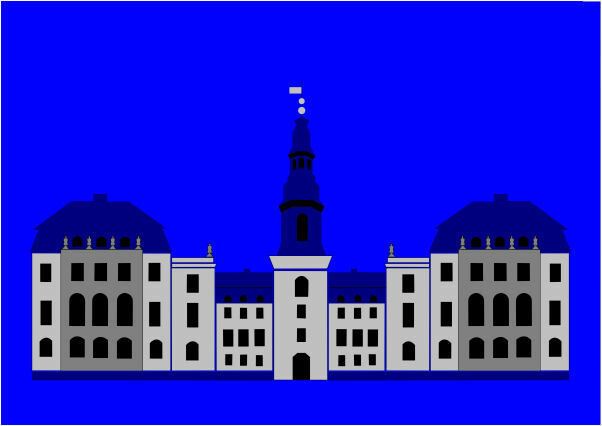 Asbjorn Lonvig's words: "Christiansborg Palace" houses The Danish Parliament is inspired by a deceased member of the parliament (his name was Anders). He invited me to visit him at Christiansborg, which became an experience of a lifetime. Some people have a disillusionment with politicians. I admire politicians for the work they do. Some people disgust all the talk. They have to remember, that it is a parliament. The name is derived from the French parlement, the action of parler (to speak, to talk, to converse). A parlement is a discussion. The term came to mean a meeting at which such a discussion took place. It acquired its modern meaning as it came to be used for the body of people (in an institutional sense) who would meet to discuss matters of state. The deceased member's successor (his name is Troels) has shown me how easy it is to get politicians to talk. Even the president of the parliament and ministers are accessible. Thus. 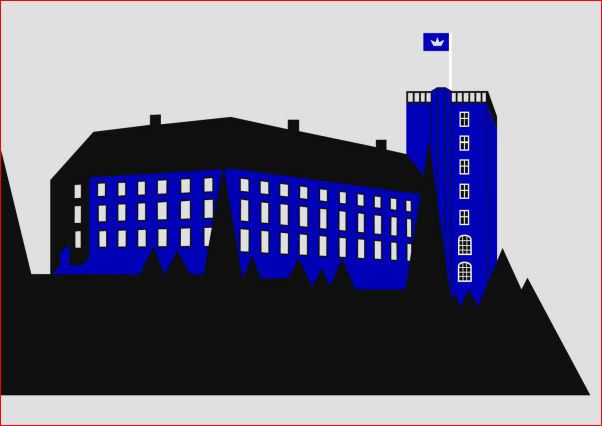 One day I found myself discussing a matter at Christiansborg Palace with a spokesman of a party and the president of the parliament. 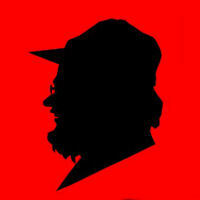 Now and then, democracy is unendurable, but still it is second to none. 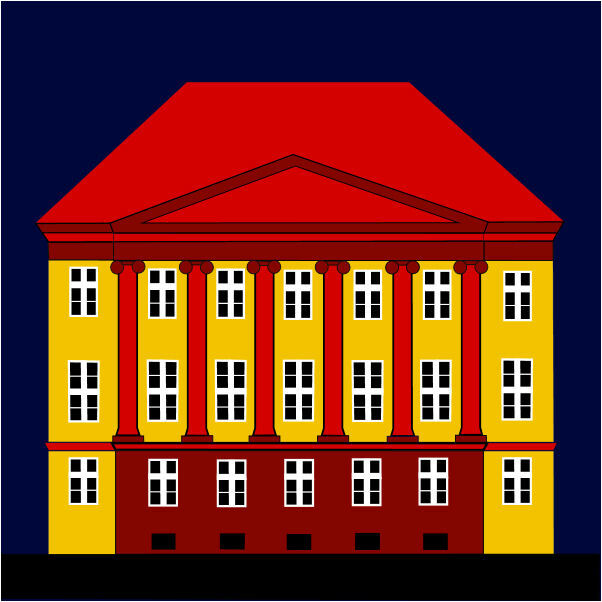 The Palaces and Properties Agency' words: Christiansborg Palace on Slots Holmen in Copenhagen houses several very important institutions. 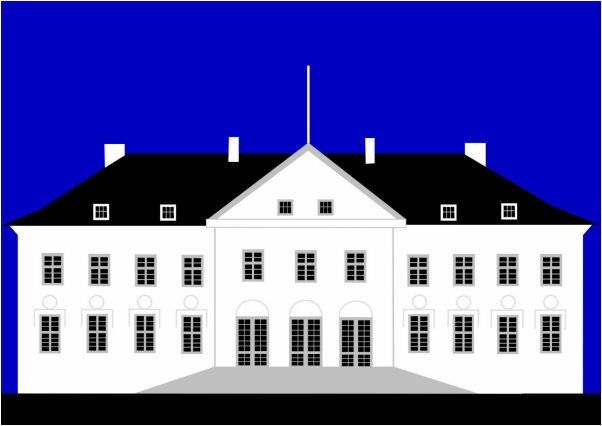 The Danish Parliament has the majority of the palace's rooms at its disposal, while the Prime Minister's Office and the Supreme Court are also found within the palace. The Royal Reception Rooms in the palace's north wing, the palace church and most of the Riding Ground Complex are available to the Royal Family. As a result of two serious fires in 1794 and 1884, the palace complex bears testimony to three eras of Danish architecture. The main palace from 1928 in the historicist Neo-baroque style is the third Christiansborg on the site, the Chapel is from the second, neoclassical Christiansborg from the 1800s, and the Show grounds survive from the first, luxurious baroque palace of the 1700s. In the Riding Ground Complex, you can visit the Theatre Museum and The Royal Stables. 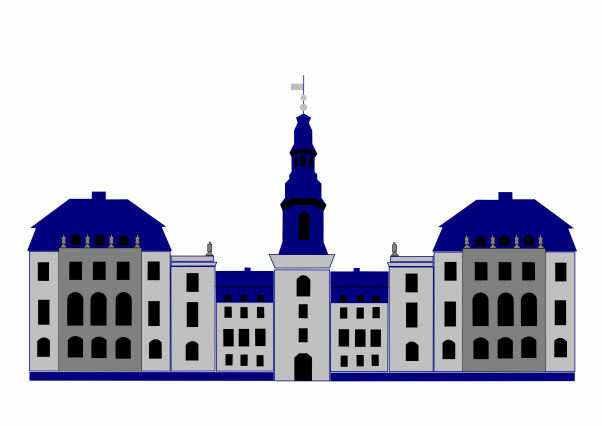 Christiansborg visitors can see drawings of the ruins of two even older buildings on the site, namely Absalon's Castle and Copenhagen Castle. Immediately adjacent to Christiansborg Palace are The Royal Library Gardens. Asbjorn Lonvig's words: I enjoyed Thomas Gravesen's gifts as a footballer, sometimes however, I was mad at him. He couldn't resist dribbleing in his own goal area. I enjoyed his gifts and disliked his exaggerated impertinence. You might think that his iImpertinence was due to arrogance after he became a professional football player in Hamburg. It's not - that's just how he is. 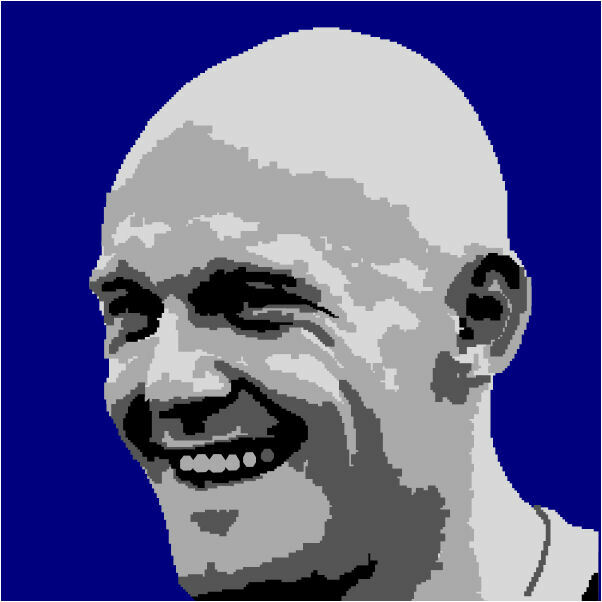 I have talked about Thomas Gravesen with a former director of Vejle Boldklub, that is the Danish club Thomas Gravesen grew up in. He told me it was no easy task to nurce Thomas Gravesen. Asbjorn Lonvig's words: I attended a meeting at the Confucius Institute at CBS (Copenhagen Business School). We talked about a logo to the instutute, a logo that identified this Confucius Institute with Copenhagen. 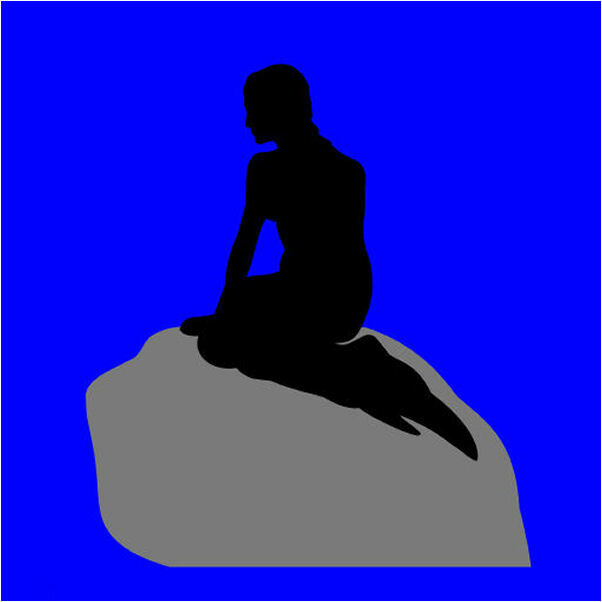 I suggested The Little Mermaid, and as soon as the meeting stopped I went to Langelinie to study the statue. 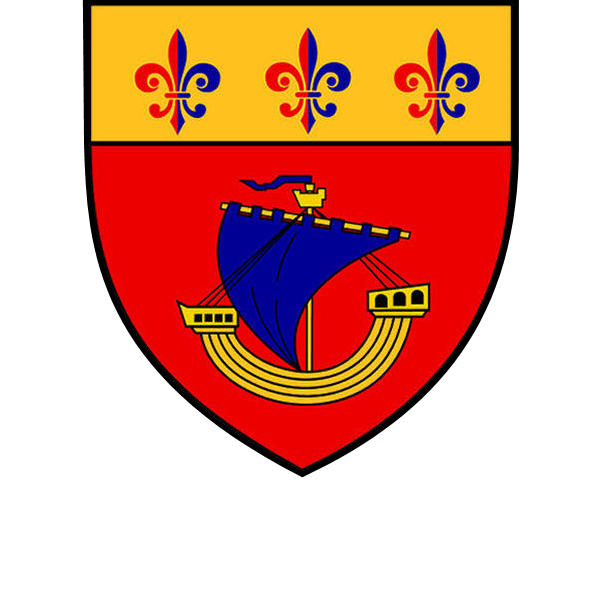 "New Coat of Arms for Paris"
Well, the old coat of arms need a little refreshment. Edition 210 for each Original art work, 210 x exclusive fine art prints numbered and signed by the Asbjorn Lonvig, printed on Hahnemühle Museum Etching 350 gsm Fine Art paper using pigment based archival inks for pigment load maximization and lightfastness augmentation. Processed with Hahnemühle Protection Spray.